Mohammed Al Qassab’s work engages both the historical and contemporary material culture of the United Arab Emirates. 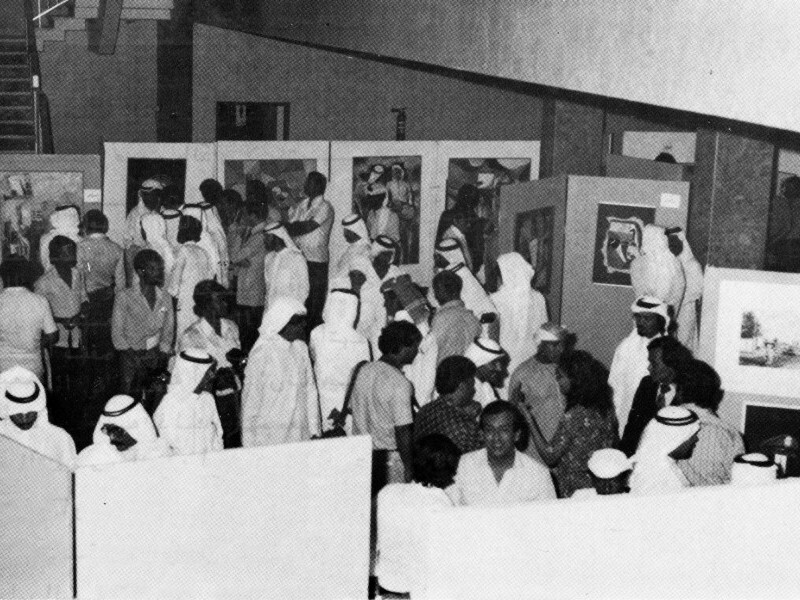 Mohammed Al Qassab’s work engages both the historical and contemporary material culture of the United Arab Emirates. His abstract paintings evoke traditional Bedouin textiles and handicrafts in non-representational forms, while his multimedia compositions employ everyday objects that have played an important role in UAE development. Al Qassab organised Rathaiyyat [Elegies], a solo exhibition at his residence in Sharjah (2004), and his work has been featured in group exhibitions at the UAE Pavilion, 56th Venice Biennale (2015); Museum of Art, Ishikawa Ken, Kanazawa, Japan (2010); Sharjah Biennials 2 and 3 (1995, 1997); fifth International Cairo Biennial (1995); Sharjah Biennial 1 (1993); third International Cairo Biennial (1992); Social Work Festival, North Korea (1989); first GCC Fine Arts Exhibition (1989); Abu Dhabi Cultural Foundation Exhibition (1986); Exhibition of Arab Artists, Kuwait (1985); GCC Youth Cultural Festival (1985); Fine Art Bazaar, Sharjah Expo Center (1984) and first and second Al Banoosh exhibitions, Dubai (1983, 1984). His works are also in the collections of the UAE Ministry of Culture, Youth and Community Development, Abu Dhabi; Barjeel Art Foundation, Sharjah; UAE Ministry of Foreign Affairs, Abu Dhabi and Sharjah Museum of Art. Al Qassab has won the gold prize at both the Silver Jubilee, GCC Art Exhibition, Muscat (2013) and the first GCC Fine Art Exhibition (1989).He was recognised by the GCC Ministry of Culture as a GCC Creative Artist in Riyadh in 2012. 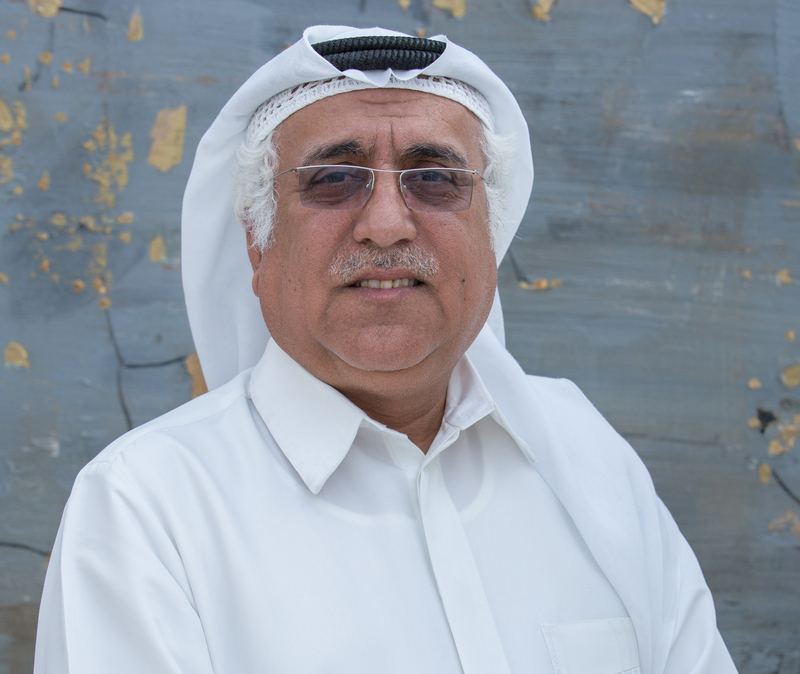 He is a member of the Emirates Fine Arts Society, where he has served in several positions on its board of directors and founded the outreach programme. He was also artist-in-residence at the Art House in Düsseldorf (2014). Born in 1960 in Dubai, Al Qassab currently resides and works in Sharjah.